David Hirschl, MD, is an Attending Radiologist at Montefiore as well as an Assistant Professor of Radiology at our Albert Einstein College of Medicine. Dr. Hirschl performs a variety of procedures, including the following: uterine fibroid embolization, dialysis access interventions, venous access, biopsies and fluid drainage. Dr. Hirschl received his Bachelor of Science degree from Binghamton University and earned his medical degree from Albert Einstein College of Medicine. 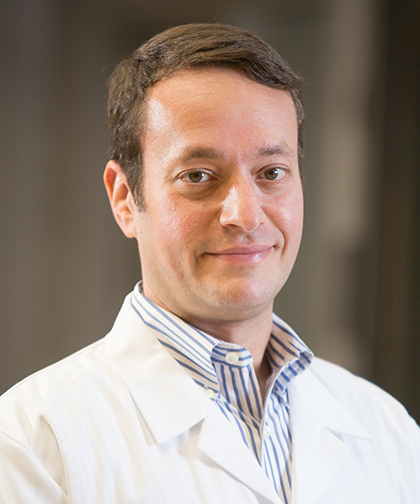 He also completed a residency in diagnostic radiology and a fellowship in vascular and interventional radiology at Montefiore. Dr. Hirschl is board certified by the American Board of Radiology in Diagnostic Radiology and Vascular Interventional Radiology.